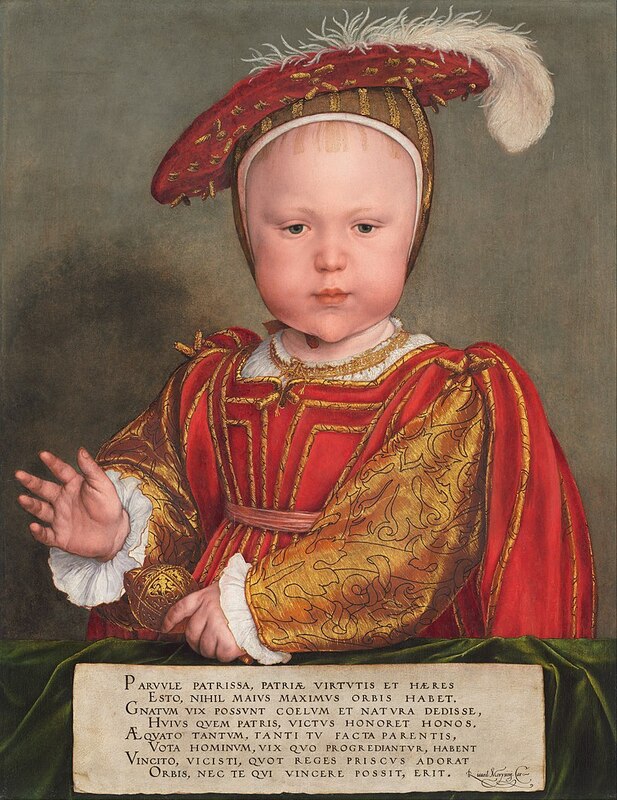 On this date in 1547 Henry VIII died and his only son became Edward VI of England and Ireland until his death six years later. 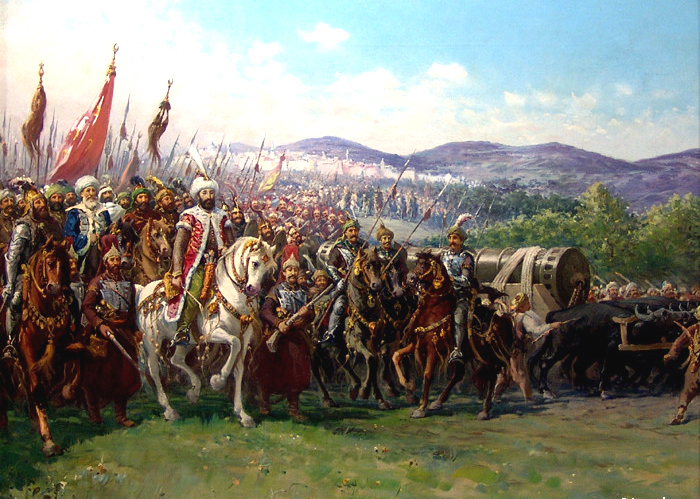 He was nine years old when he was crowned on 20th February. Edward was England’s first monarch to be raised as a Protestant, and, even though his reign was brief, it was a momentous time for the church and the monarchy. 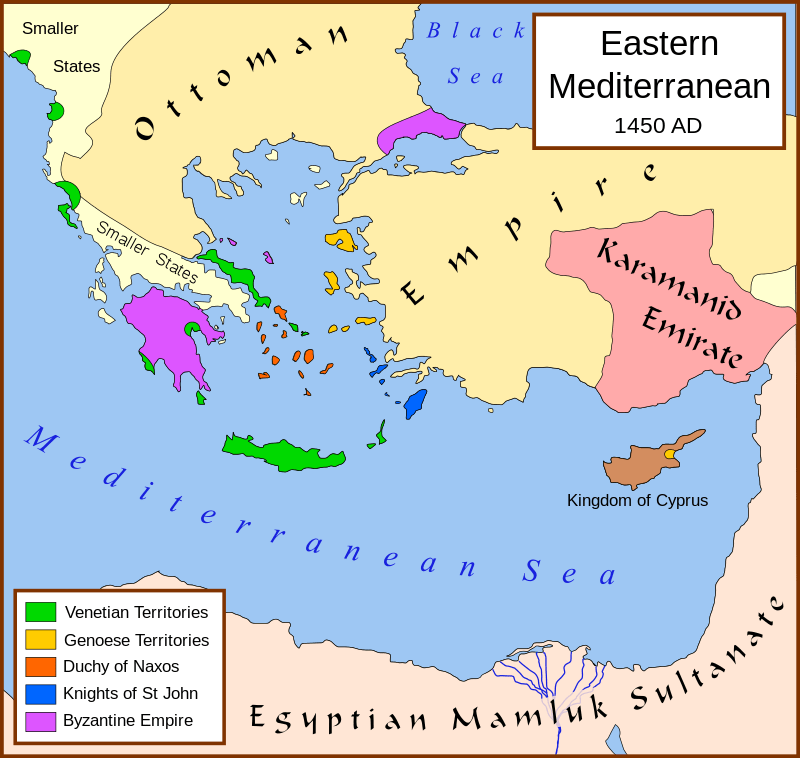 During his reign, the realm was governed by a Regency Council because he never reached his majority. 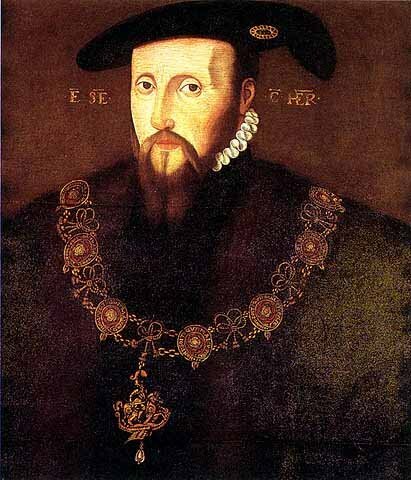 The Council was first led by his mother’s brother, Edward Seymour, 1st Duke of Somerset (1547–1549), and then by John Dudley, 1st Earl of Warwick (later, Duke of Northumberland). 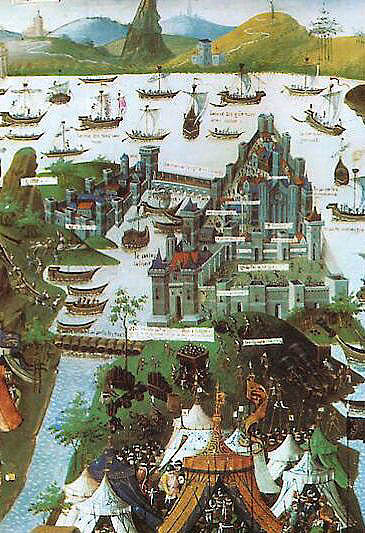 Edward’s reign was marked by economic problems and social unrest that in 1549 erupted into riot and rebellion. An expensive war with Scotland, at first successful, ended with military withdrawal from Scotland and Boulogne-sur-Mer in exchange for peace. The transformation of the Church of England into a recognizably Protestant body also occurred under Edward, who took great interest in religious matters. Although his father, Henry VIII, had severed the link between the Church and Rome, he had never permitted the renunciation of Catholic doctrine or ceremony. The Protestant Reformation in Europe is often couched in religious terms, but it was as much a political reality as a theological one. Heads of state across the continent chafed at the fact that the pope was quite legally capable of meddling in affairs of state. Most of the time their conflicts could be staved off with bribes: but not always. Sometimes it came to war. In Henry’s case, the matter was very simple. He wanted a divorce and the pope would not grant it. There is no question that Henry was a devout Catholic, and he even couched his request in Biblical terms. Leviticus forbids a man from marrying his dead brother’s wife (levirate marriage), but that is exactly what Henry’s father, Henry VII, had forced him to do. Henry’s father wanted an alliance with Aragon and so had married his eldest son and heir, Arthur, to Catherine of Aragon. 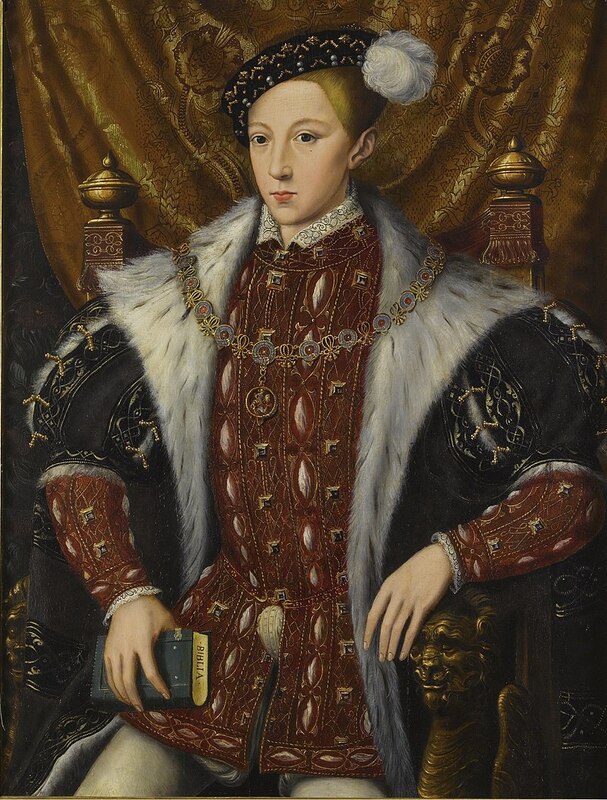 When Arthur died, Henry VII wanted to salvage the alliance, so he married his second son, Henry, off to Catherine. She produced only a daughter, and no live sons, so Henry argued that this was God’s curse on the marriage for breaking Biblical law. The pope, for various reasons, was not persuaded, so Henry, following the lead of the German states, broke from Rome, declared himself head of the Church of England, and granted himself a divorce: done and dusted. He was not remotely interested in changing the doctrines and rituals of the church. He remained until the day he died, in all but name, a staunch Catholic. It was during Edward’s reign that Protestantism was properly established in England with reforms that included the abolition of clerical celibacy, and the Mass, and the replacement of services in Latin with compulsory services in English. Both Somerset and Northumberland followed an increasingly vigorous program of church reform. 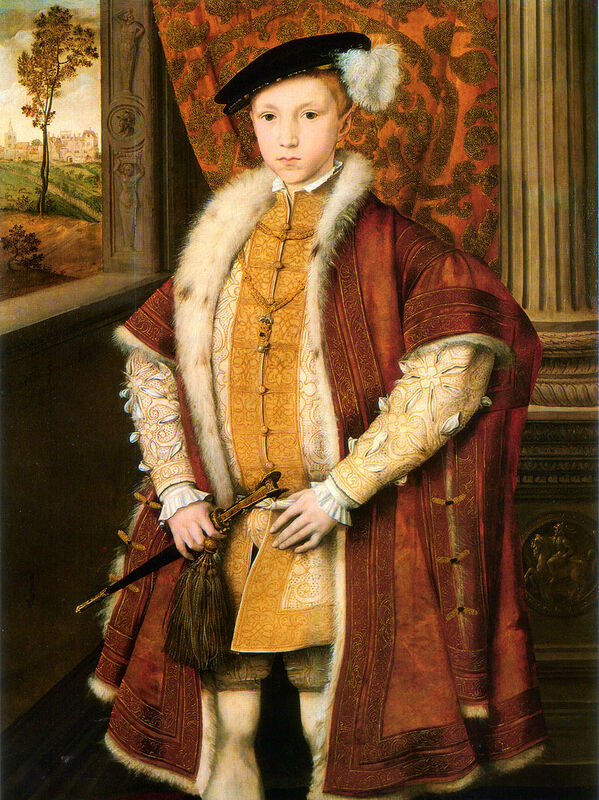 Although Edward VI’s practical influence on government was limited, his intense Protestantism made a reforming administration obligatory. 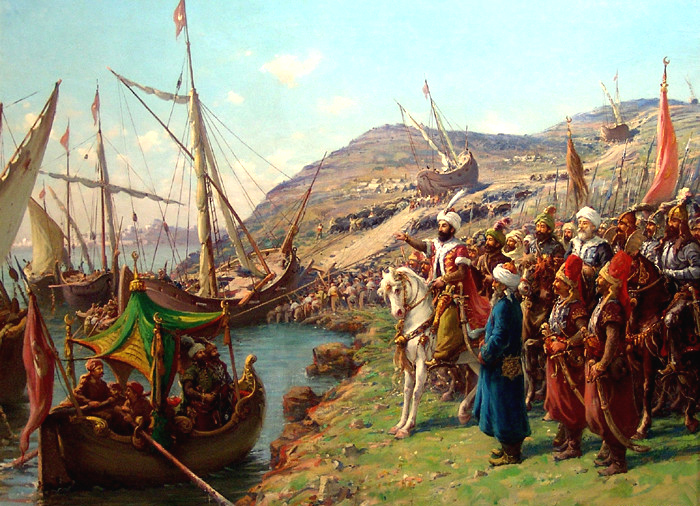 His succession was managed by the reforming faction, who continued in power throughout his reign. The man Edward trusted most, Thomas Cranmer, Archbishop of Canterbury, introduced a series of religious reforms that revolutionized the English church from one that—while rejecting papal supremacy—remained essentially Catholic, to one that was institutionally Protestant. The confiscation of church property that had begun under Henry VIII resumed under Edward—notably with the dissolution of the chantries—to the great monetary advantage of the crown and the new owners of the seized property. 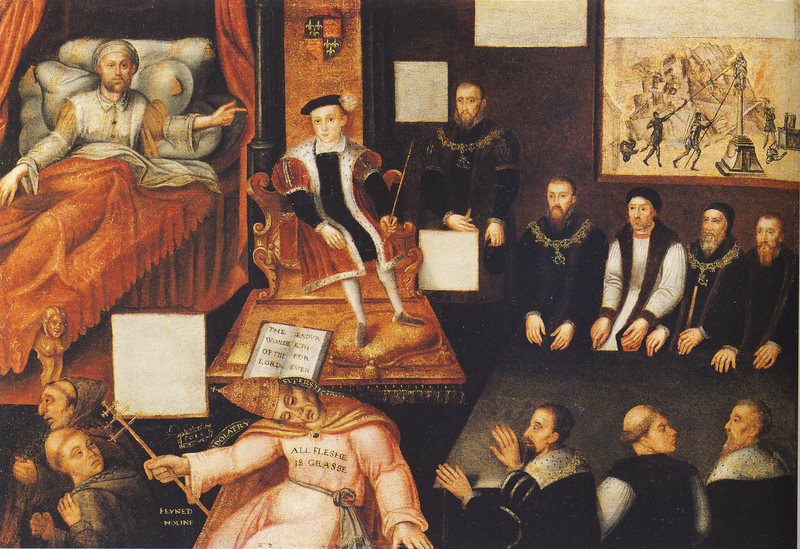 Church reform was therefore as much a political as a religious policy under Edward VI. By the end of his reign, the church had been financially ruined, with much of the property of the bishops transferred into lay hands. 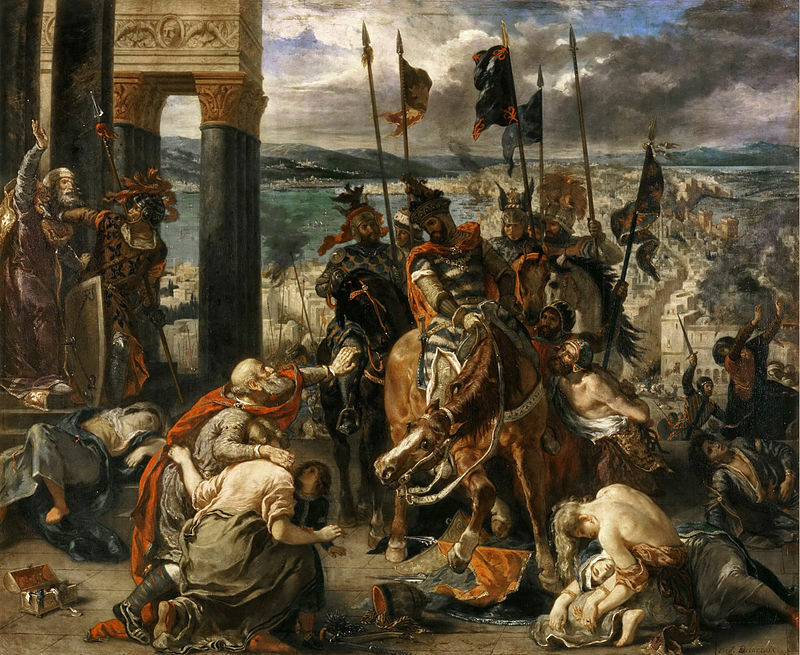 This seizure of property meant effectively that when Edward died and his half-sister Mary came to throne, wishing to turn England back to a Catholic country, she was blocked at every turn because the church was bankrupt, and its backbone, the monasteries, chantries, and church lands, could not be restored. The religious convictions of both Somerset and Northumberland have proved elusive for historians, who are divided on the sincerity of their Protestantism. There is less doubt, however, about the religious fervor Edward, who was said to have read twelve chapters of scripture daily and enjoyed sermons, and was commemorated by John Foxe as a “godly imp.” Edward was depicted during his life and afterwards as a new Josiah, the biblical king who destroyed the idols of Baal. He could be priggish in his anti-Catholicism and once asked Catherine Parr to persuade Lady Mary “to attend no longer to foreign dances and merriments which do not become a most Christian princess.” We should be a little cautious, however. In the early part of his life, Edward conformed to the prevailing Catholic practices of his father, including attendance at mass. But he became convinced, under the influence of Cranmer and the reformers among his tutors and courtiers, that “true” religion should be imposed in England. The English Reformation advanced under pressure from two directions: from the traditionalists on the one hand and the zealots on the other, who led incidents of iconoclasm (image-smashing) and complained that reform did not go far enough. Reformed doctrines were made official, such as justification by faith alone and communion for laity as well as clergy in both kinds, of bread and wine. The Ordinal of 1550 replaced the divine ordination of priests with a government-run appointment system, authorizing ministers to preach the gospel and administer the sacraments rather than, as before, “to offer sacrifice and celebrate mass both for the living and the dead.” Cranmer set himself the task of writing a uniform liturgy in English, detailing all weekly and daily services and religious festivals, to be made compulsory in the first Act of Uniformity of 1549. The Book of Common Prayer of 1549, intended as a compromise, was attacked by traditionalists for dispensing with many cherished rituals of the liturgy, such as the elevation of the bread and wine, while some reformers complained about the retention of too many “popish” elements, including vestiges of sacrificial rites at communion. The prayer book was also opposed by many senior Catholic clerics, including Stephen Gardiner, Bishop of Winchester, and Edmund Bonner, Bishop of London, who were both imprisoned in the Tower and, along with others, deprived of their sees. After 1551, the Reformation advanced further, with the approval and encouragement of Edward, who began to exert more personal influence in his role as Supreme Head of the church. 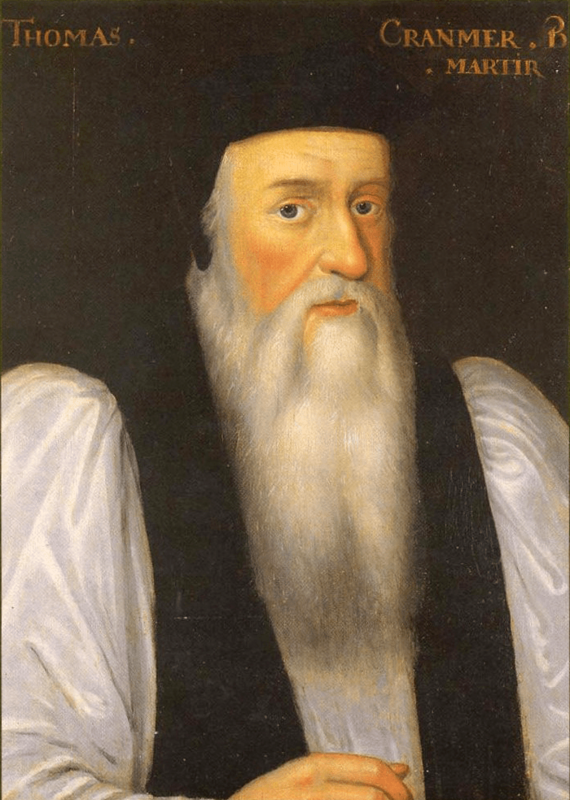 The new changes were also a response to criticism from such reformers as John Hooper, Bishop of Gloucester, and John Knox, who was employed as a minister in Newcastle upon Tyne under the Duke of Northumberland and whose preaching at court prompted the king to oppose kneeling at communion. Cranmer was also influenced by the views of the continental reformer Martin Bucer, who died in England in 1551, by Peter Martyr, who was teaching at Oxford, and by other foreign theologians. The progress of the Reformation was further speeded by the consecration of more reformers as bishops. In the winter of 1551–52, Cranmer rewrote the Book of Common Prayer in less ambiguous reformist terms, revised canon law, and prepared a doctrinal statement, the Forty-Two Articles, to clarify the practice of the reformed religion, particularly in the divisive matter of the communion service. Cranmer’s formulation of the reformed religion, finally divesting the communion service of any notion of the real presence of God in the bread and the wine, effectively abolished the mass. The prayer book of 1552 remains the foundation of the Church of England’s services. However, Cranmer was unable to implement all these reforms once it became clear in spring 1553 that Edward, upon whom the whole Reformation in England depended, was dying. In February 1553, at age 15, Edward fell ill. When his sickness was determined to be terminal, he and his Council drew up a “Devise for the Succession”, to prevent the country’s return to Catholicism. 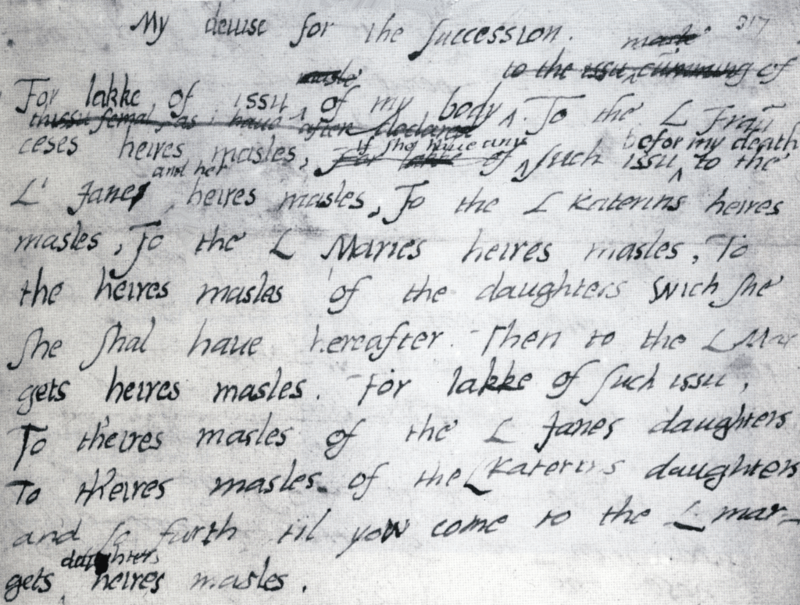 Edward named his first cousin once removed, Lady Jane Grey, as his heir, excluding his half-sisters, Mary and Elizabeth, declaring them illegitimate. This decision was disputed following Edward’s death, and Jane was deposed by Mary nine days after becoming queen. During her reign, Mary reversed Edward’s Protestant reforms, which, nonetheless, became the basis of the Elizabethan Religious Settlement of 1559. There are a number of Tudor recipes extant, and in searching my files I came across a couple with an unfortunate name: farts of Portingale. The second part is easy enough. The term “of Portingale” means “in the style of Portugal.” The terms “farts” is the tricky one. The etymology is obscure but is not the same as the word for breaking wind. It is variously spelled “fertes” or “fartes.” The Oxford English Dictionary defines it as, “A tiny spherical titbit. A Whet, or Subtelty.” Recipes of the time are either for spheres of light sweetened pastry, or of minced mutton and fruit. Here’s a recipe for each. Take a quart of life Hony, and set it upon the fire and when it seetheth scum it clean, and then put in a certaine of fine Biskets well serced, and some pouder of Cloves, some Ginger, and powder of sinamon, Annis seeds and some Sugar, and let all these be well stirred upon the fire, til it be as thicke as you thinke needfull, and for the paste for them take Flower as finelye dressed as may be, and a good peece of sweet Butter, and woorke all these same well togither, and not knead it. 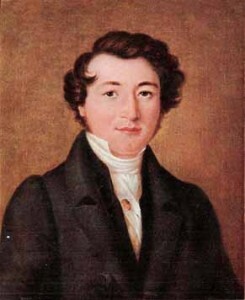 On this date in 1829 Cyrill Demian (1772–1849) received an official patent from the Vienna patent office for a new instrument he called an accordion. Thus, he is generally credited with the invention. A few give credit to Christian Friedrich Ludwig Buschmann (who also claims to have invented the harmonica) but there is no evidence for either claim apart from a few jottings that Buschmann himself made. His claim to have invented the harmonica is clearly false because they were on sale in Austria 3 years before he says he invented the instrument. Demian is our man. Cyrill Demian was an Armenian from the Romanian city of Gherla (ancient Armenopolis) who moved to Vienna and worked as an organ and piano maker, with his two sons Karl and Guido, in Mariahilfer Straße No. 43 in Vienna. His new instrument was a modification of the Handäoline, comprising a small manual bellows and five keys. 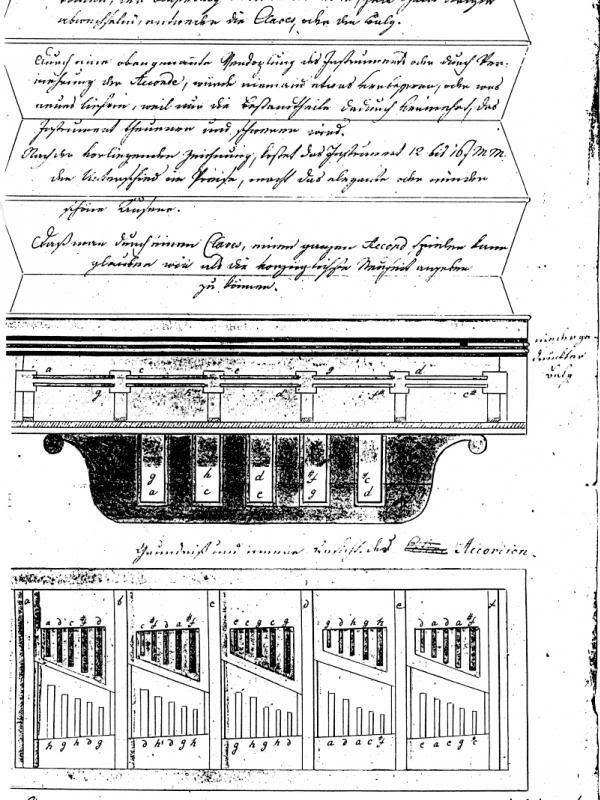 As noted in his own description and patent application, the instrument was what we now call a push-pull accordion, that is it produced a different note on each key depending on whether the bellows were pushed or pulled. Five keys would give a few notes more than an octave in a diatonic scale and major chords would be easy to produce. Its appearance essentially consists of a little box with feathers of metal plates and bellows fixed to it, in such a way that it can easily be carried, and therefore traveling visitors to the country will appreciate the instrument. It is possible to perform marches, arias, melodies, even by an amateur of music with little practice, and to play the loveliest and most pleasant chords of 3, 4, 5 etc. voices after instruction. 1st – In a box 7 to 9 inches long, 3½ inches wide and 2 inches high, feathers of metal plates are fixed, which were known for more than 200 years as Regale, Zungen, Schnarrwerk, in organs. 2nd – With bellows fixed to the above box and its 5 claves fixed below, even an amateur of music can play the loveliest and most moving chords of 3, 4 and 5 voices with very little practice. 3rd – Each claves or key of this instrument allows two different chords to be heard, as many keys are fixed to it, double as many chords can be heard, pulling the bellows a key gives one chord, while pushing the bellows gives the same key a second chord. 4th – As this instrument can be made with 4, 5 and 6 or even more claves, with chords arranged in alphabetical order, many well known arias, melodies and marches, etc. may be performed similar to the harmony of 3, 4 and 5 voices, with satisfaction of all anticipations of delicacy and vastly amazing comfort in increasing and decreasing sound volume. 5th – The instrument is of the same size as the attached illustration, with 5 claves and 10 chords, not heavier than 32 to 36 Loth [1 Loth = approx. 16 gm], only if there are more chords will it become longer and some Loths heavier, so it is easy and comfortable to carry and should be a welcome invention for travelers, country and parties visiting individuals of both sexes, especially as it can be played without the help of anybody. With the cover of the bellows, the entire instrument may be doubled, in order to play more chords or more single tones, in this case, keyboard, the bellows remain in the middle, while each hand controls in turn, either the claves or the bellows. The above-mentioned duplication of the instrument or adding more chords, would not make anything better to anybody, or give something new, as only the parts would increase, and the instrument more expensive and heavier. The instrument costs 12 to 16 Marks the difference in price results in a more elegant or worse-looking appearance. 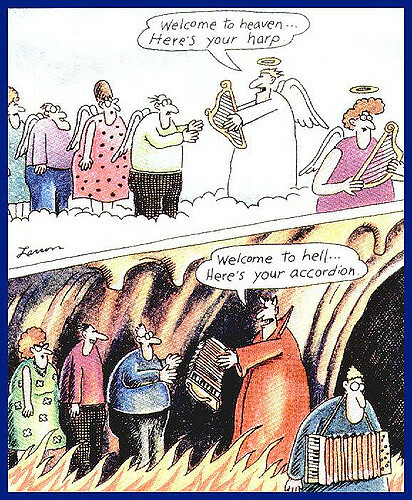 From humble beginnings a welter of different kinds of accordions came forth. Many more right hand (treble) keys were added, as were left hand (bass) keys. More reeds (what are called “feathers” here) made richer sounds which could be added or subtracted via stops (equivalent of organ stops), and so forth. In the 19th century the accordion eventually supplanted the fiddle as the staple instrument for dance music in northern Europe, because of the relative ease of playing in comparison with the fiddle. Accordion reeds are permanently tuned, so it is hard/impossible to play out of tune, and the arrangement of the keys makes production of major chords very simple. If it is tuned in C major, for example, the first 3 keys played together by pushing the bellows produce the notes C E G (the tonic major chord). Here’s a video of John Spiers trying out a new push-pull accordion, called a melodeon in England. John is the son of a very old friend of mine, and is quite well known in the English folk scene. I played this kind of instrument for many years, but have retired and do not own one any more – otherwise I would give you a sample of my own playing. Because Demian was Armenian I’ll choose an Armenian recipe to celebrate him even though the accordion was born in Vienna. I’ve given plenty of Viennese recipes and precious few Armenian ones. Lamb and bulgar are classic Armenian ingredients, so here’s a lamb meatball dish that involves both. You can think of the meatballs as lamb stuffed with lamb. The influence of Indian cuisine should be obvious to those who know kofta. For the filling, sauté the lamb in a skillet over medium-high heat with a trace of olive oil. When thoroughly browned add the onions, green pepper and parsley and cook for about 10 to 15 minutes, until the vegetables have softened. Add the spices and season to taste with salt and pepper. Cook for 10 more minutes, then place in a bowl and chill thoroughly. To finish and cook, mix the outer layer ingredients together in a food processor. You want this outer layer to be light and fluffy, so mix well so that air is incorporated. 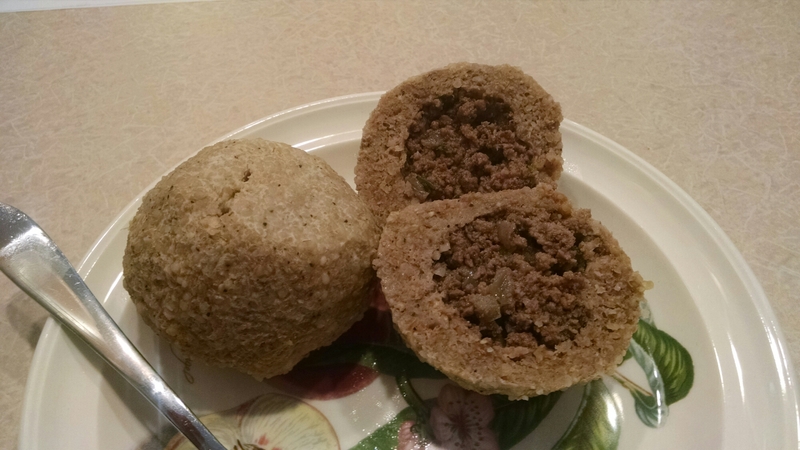 Shape the filling into balls the size of walnuts. Shape the outer layer into round patties that are large enough to wrap around the filling. Place one ball of filling inside the outer layer, and then wrap the outer layer around the filling so that it is completely and evenly covered. Sorry, this takes practice. Bring the stock to a simmer in a large stock pot. Add the meatballs a few at a time, cover and simmer for about 8 to 10 minutes. When they are cooked the meatballs will rise to the surface. You can serve the kufta in some broth, or with plain boiled rice and yoghurt. Today is a largely forgotten day in the saga of the Gunpowder Plot because it is not as dramatic an anniversary as the 5th of November. It was on this date in 1605 that Robert Catesby, the actual leader of the Plot, died in a last ditch effort against 200 armed loyalists at Holbeche House in Staffordshire. A few years back I posted this about the Gunpowder Plot: http://www.bookofdaystales.com/the-gunpowder-plot/ If you are English you probably don’t need reminding about Guy Fawkes and whatnot. 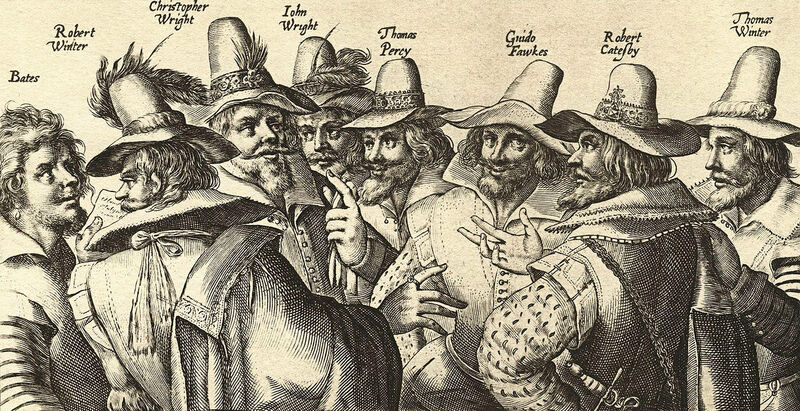 The day set to blow up Parliament was, of course, the 5th of November, but the Plot was uncovered on the night before, and Guy Fawkes was not exactly central. He was the fall guy (literally !!). The real instigator and leader of the Plot was Robert Catesby who tends to be forgotten because, although he set the wheels in motion, he was nowhere to be seen when the main events unfolded – nor were the other conspirators. In consequence their names are not household words, and their fate gets overlooked. Robert Catesby was born around 1572, probably in Warwickshire, and educated at Oxford. Details are sketchy at best. His family were prominent recusant Catholics, and presumably to avoid swearing the Oath of Supremacy he left college before taking his degree. He married a Protestant in 1593 and fathered two children, one of whom survived birth and was baptized in a Protestant church. 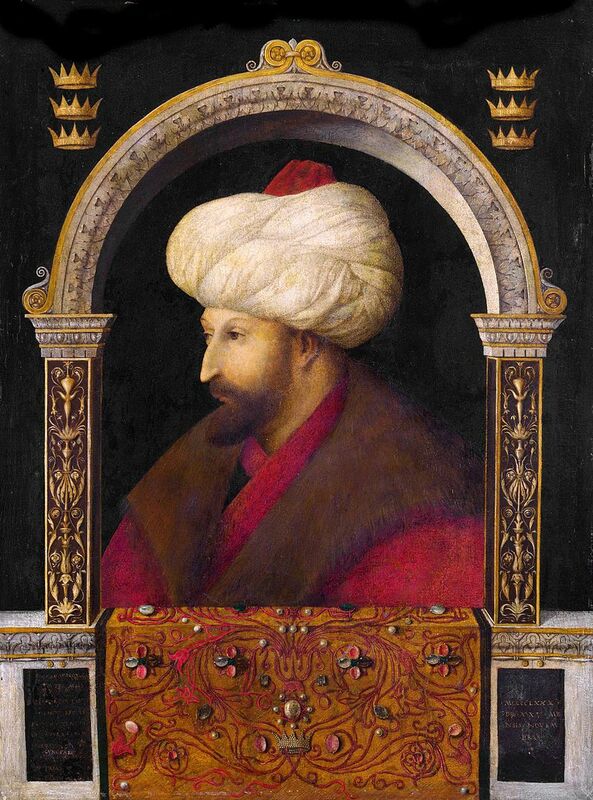 But in 1598, following the deaths of his father and his wife, he reverted to Catholicism. In 1601 he took part in the Essex Rebellion but was captured and fined, after which he sold his estate at Chastleton. The Protestant James I and VI, who became King of England in 1603, was less tolerant of Catholicism than his followers had hoped. Catesby therefore planned to kill him by blowing up the House of Lords with gunpowder during the State Opening of Parliament, the prelude to a popular revolt during which a Catholic monarch would be restored to the English throne. Early in 1604 he began to recruit other Catholics to his cause, including Thomas Wintour, John Wright, Thomas Percy, and Guy Fawkes. Catesby was described as a charismatic and influential man, as well as a religious zealot. Over several months he helped to bring a further eight conspirators into the plot: Robert Keyes, Thomas Bates, Robert Wintour, Christopher Wright, John Grant, Ambrose Rookwood, Sir Everard Digby and Francis Tresham. The precise date on which Catesby set events in motion is unknown, but it is likely that he first had the idea early in 1604. Around June of the previous year he was visited by his friend Thomas Percy. A great-grandson of the 4th Earl of Northumberland, Percy was reported to have had a “wild youth” before he became a Catholic, and during Elizabeth’s final years had been entrusted by the 9th Earl with a secret mission to James’s court in Scotland, to plead with the king on behalf of England’s Catholics. He now complained bitterly about what he considered to be James’s treachery, and threatened to kill him. Catesby replied “No, no, Tom, thou shalt not venture to small purpose, but if thou wilt be a traitor thou shalt be to some great advantage.” Percy listened while Catesby added “I am thinking of a most sure way and I will soon let thee know what it is.” On 31st October he sent for his cousin Thomas Wintour, who was at Huddington Court in Worcestershire with his brother Robert. Thomas was educated as a lawyer and had fought for England in the Low Countries, but in 1600 had converted to Catholicism. Following the Earl of Essex’s failed rebellion, he had traveled to Spain to raise support for English Catholics, a mission which the authorities would later describe as comprising part of a ‘Spanish Treason.’ Although Thomas declined his invitation, Catesby again invited him in February the next year. Although the State Opening of Parliament was planned for February 1605, concern over the plague meant that it would instead occur on 3 October. 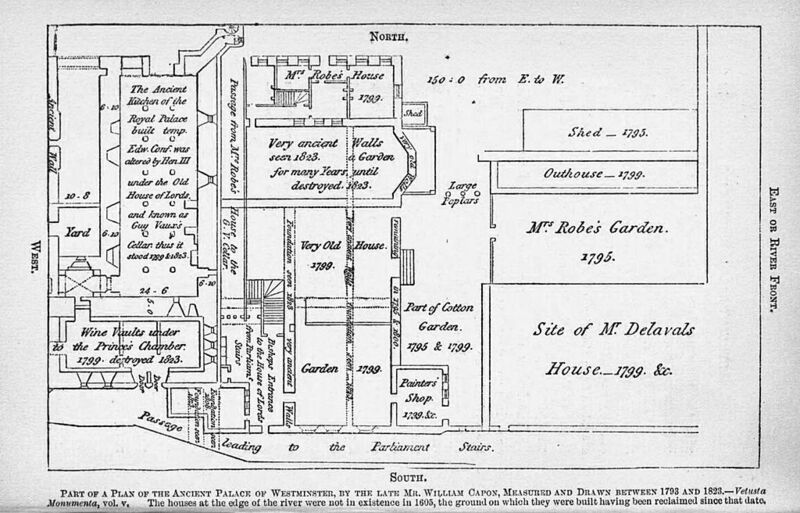 A contemporaneous government account says the plotters engaged in digging a tunnel beneath Parliament by December 1604, but no other evidence exists to prove this, and no trace of a tunnel has since been found. If the story is true, the plotters ceased their efforts when the tenancy to the undercroft beneath the House of Lords became available. Several months later, early in June 1605, Catesby met the principal Jesuit in England, Father Henry Garnet, on Thames Street in London. While discussing the war in Flanders, Catesby asked about the morality of “killing innocents.” Garnet said that such actions could often be excused, but according to his own account during a second meeting in July he showed Catesby a letter from the pope which forbade rebellion. Catesby replied, “Whatever I mean to do, if the Pope knew, he would not hinder for the general good of our country.” Father Garnet’s protestations prompted Catesby’s next reply, “I am not bound to take knowledge by you of the Pope’s will.” Soon after, Father Tesimond told Father Garnet that while taking Catesby’s confession he had learned of the plot. Father Garnet met with Catesby a third time on 24th July at White Webbs in Enfield Chase, the home of Catesby’s wealthy relative Anne Vaux, and a house long suspected by the government of harboring Jesuit priests. Without acknowledging that he was aware of the precise nature of the plot, the priest tried in vain to dissuade Catesby from his course. A letter sent anonymously to William Parker, 4th Baron Monteagle, alerted the authorities, and on the eve of the planned explosion, during a search of Parliament, Fawkes was found guarding the barrels of gunpowder. Late on Monday 4 November, before Fawkes’s arrest, Catesby had left for the Midlands to prepare for an uprising. When news of Fawkes’s arrest spread the next day, most of the conspirators still in London fled. Catesby’s party, ignorant of what was happening in London, paused at Dunstable when his horse lost a shoe. When Rookwood caught them up and broke to them the news of Fawkes’s arrest, the group, which now included Rookwood, Catesby, Bates, the Wright brothers and Percy, rode toward Dunchurch. At about 6:00 pm that evening they reached Catesby’s family home at Ashby St Ledgers, where his mother and Robert Wintour were staying. To keep his mother ignorant of their situation, Catesby sent a message asking Wintour to meet him at the edge of the town. The group continued to Dunchurch, where they met Digby with a hunting party and told them that the king was dead, thus persuading them to help with the planned uprising. 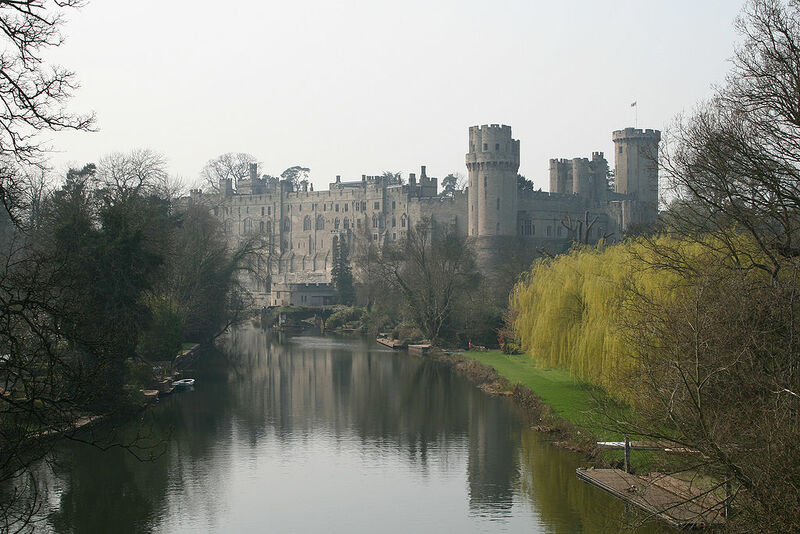 On 6 November they raided Warwick Castle for supplies, before continuing to Norbrook to collect stored weapons. From there they continued their journey to Huddington. Catesby gave Bates a letter to deliver to Father Garnet and the other priests at Coughton Court, informing them of what had transpired, and asking for their help in raising an army in Wales, where Catholic support was believed to be strong. The priest begged Catesby and his followers to stop their “wicked actions,” and to listen to the pope’s advice. Father Garnet fled, and managed to evade capture for several weeks. Catesby and the others arrived at Huddington at about 2:00 pm, and were met by Thomas Wintour. Terrified of being associated with the fugitives, family members and former friends showed them no sympathy. Back in London, under torture, Fawkes had started to reveal what he knew, and on 7 November the government named Catesby as a wanted man. Early that morning at Huddington, the remaining outlaws went to confession, before taking the sacrament — perhaps a sign that none of them thought they had long to live. The party of fugitives, which included those at the center of the plot, their supporters and Digby’s hunting party, by now had dwindled to only 36. They continued through pouring rain to Hewell Grange, home of the young Lord Windsor. He was absent however, so they helped themselves to further arms, ammunition, and money. The locals were unsupportive; on hearing that Catesby’s party stood for “God and Country,” they replied that they were for “King James as well as God and Country.” The party reached Holbeche House, on the border of Staffordshire, at about 10:00 pm. Tired and desperate, they spread in front of the fire some of the now-soaked gunpowder taken from Hewell Grange, to dry out. 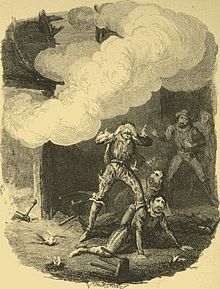 Although gunpowder does not explode (unless physically contained), a spark from the fire landed on the powder and the resultant flames engulfed Catesby, Rookwood, Grant, and another man. Richard Walsh, Sheriff of Worcester, and his company of 200 men besieged Holbeche House at about 11:00 am on 8 November. While crossing the courtyard Thomas Wintour was hit in the shoulder. John Wright was shot, followed by his brother, and then Rookwood. Catesby and Percy were reportedly both dropped by a single lucky shot, while standing near the door. Catesby managed to crawl inside the house, where his body was later found, clutching a picture of the Virgin Mary. This and his gold crucifix were sent to London, to demonstrate what “superstitious and Popish idols” had inspired the plotters. The survivors were taken into custody and the dead buried near Holbeche. On the orders of the Earl of Northampton however, the bodies of Catesby and Percy were exhumed and decapitated, the heads being taken to London and impaled on the side of the Parliament House. I don’t think that in general one should celebrate conspiracy and death, but I have celebrated Bonfire Night for decades. 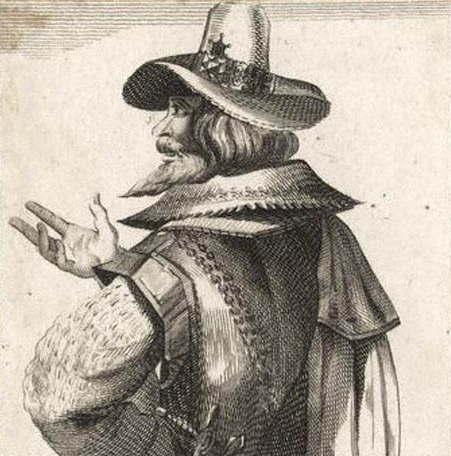 Robert Catesby perhaps should get a tip of the hat alongside Guy Fawkes. I could give you a 17th century Stuart recipe but I think this would be a bit anachronistic. In 1605 cooking habits would still have followed Elizabethan customs. Here’s a recipe for Fartes of Portingale from The Good Huswives Handmaid, originally published in 1588 with editions printed also in 1594 and 1597. So the dish would have been current in Catesby’s time. “Fartes” sounds a bit strange for meatballs. I can find no reference to the word in old word lists except meaning, “break wind.” Curious, but maybe fitting for a traitor. I also give the next recipe for fystes which helps expand the first. How to make Fartes of Portingale. Portingale is Portugal, so apparently this was an Elizabethan cook’s idea of cooking in Portugal (a good Catholic country). The recipes are pretty easy to understand and are normal for Tudor cooking – lots of meat and fat with sweet spices and dried fruits. Our Christmas pudding and mincemeat are the last remnants of this style of cooking, though we now consider them as desserts whereas for the Tudors they would have been main dishes. Note that Tudor tennis balls were smaller than modern ones, but you are still looking to make big meatballs. They should be served in broth. 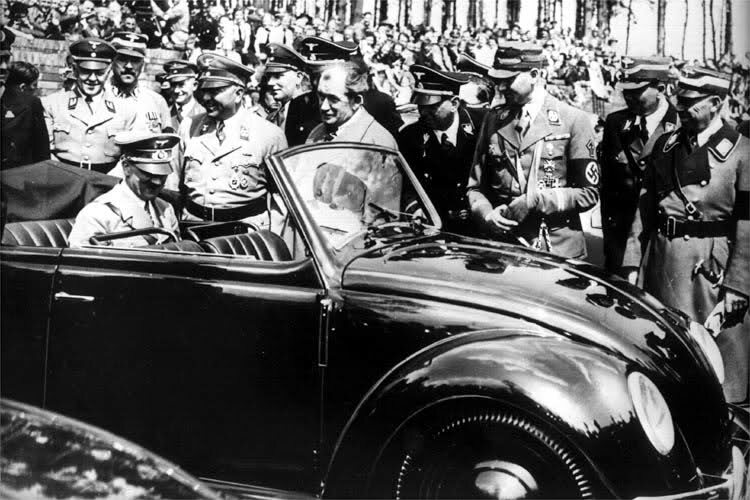 On this date in 1936 German Chancellor Adolf Hitler unveiled the “people’s car,” later called the Volkswagen. 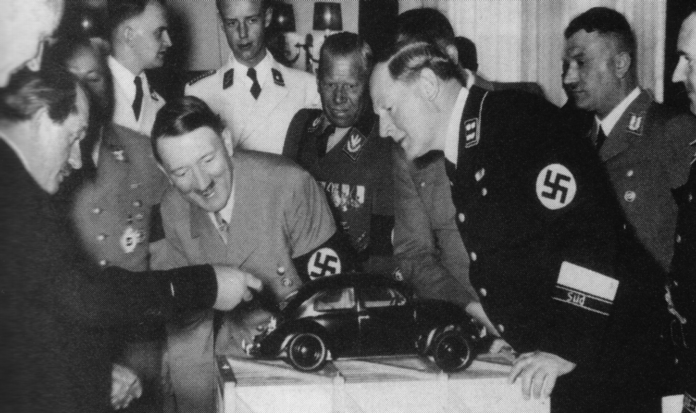 It is often erroneously stated that Hitler designed the car: he did not. Sometimes it is also stated that he sketched the design on a napkin. If so, he was certainly copying designs that were already being offered. The ethos, and history, of the Volkswagen beetle is fascinating, going from the pride of the Third Reich to the quintessential hippiemobile in less than 30 years. In the early 1930s, the German auto industry was still largely turning out luxury models, and the average German could rarely afford anything more than a motorcycle. As a result, only one German out of 50 owned a car. Seeking a potential new market, some car makers began independent “peoples’ car” projects – the Mercedes 170H, Adler AutoBahn, Steyr 55, and Hanomag 1.3L, among others. The trend was not new; Béla Barényi is credited with having conceived the basic design in the mid-1920s. Josef Ganz developed the Standard Superior (going as far as advertising it as the “German Volkswagen”). 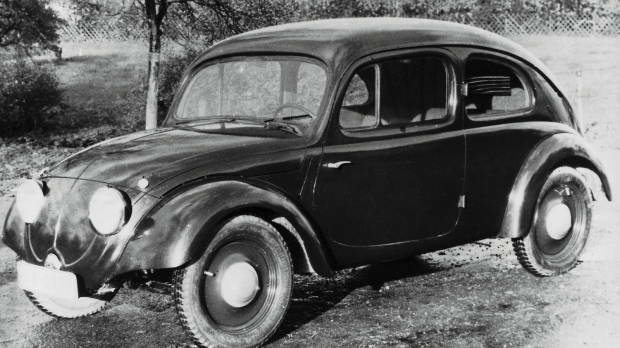 In Germany the company Hanomag mass-produced the 2/10 PS “Komissbrot”, a small, cheap rear-engine car, from 1925 to 1928. Also, in Czechoslovakia, the Hans Ledwinka designed Tatra T77, a very popular car amongst the German elite, was becoming smaller and more affordable at each revision. Ferdinand Porsche, a well-known designer of high-end vehicles and race cars, had been trying for years to get a manufacturer interested in a small car suitable for a family. He felt the small cars at the time were just stripped down big cars. Instead he built a car he called the “Volksauto” from the ground up in 1933, using many of the ideas floating around at the time and several of his own, putting together a car with an air-cooled rear engine, torsion bar suspension, and a “beetle” shape, the front hood rounded for better aerodynamics (necessary because it had a small engine). 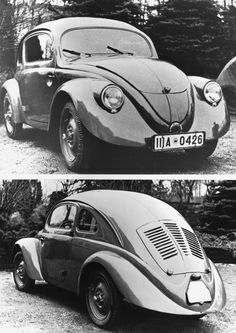 His design became the VW Beetle. In 1932, with many of the above projects still in development or early stages of production, Adolf Hitler got involved, ordering the production of a basic vehicle capable of transporting two adults and three children at 100 km/h (62 mph). The “People’s Car” would be available to citizens of the Third Reich through a savings plan at 990 Reichsmark (€ 3826.35 today)—about the price of a small motorcycle (the average income being around 32RM a week). Despite heavy lobbying in favor of the existing projects, it soon became apparent that private industry could not turn out a car for only 990RM. Thus, Hitler chose to sponsor an all-new, state-owned factory using Ferdinand Porsche’s design (with some of Hitler’s design constraints, including an air-cooled engine so nothing could freeze). The intention was that ordinary Germans would buy the car by means of a savings scheme (“Fünf Mark die Woche musst du sparen, willst du im eigenen Wagen fahren” – “Five marks a week you must put aside, if you want to drive your own car”), which around 336,000 people eventually paid into. However, the entire project was financially unsound. 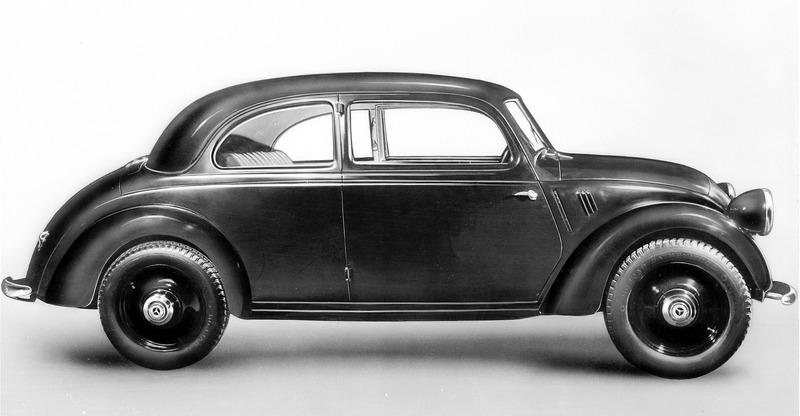 Erwin Komenda, the longstanding Auto Union chief designer, part of Ferdinand Porsche’s hand-picked team, developed the car body of the prototype, which was recognizably the Beetle known today. It was one of the first cars designed with the aid of a wind tunnel—a method used for German aircraft design since the early 1920s. The car designs were put through rigorous tests, and achieved a record-breaking million miles of testing before being deemed finished. The building of the new factory started 26 May 1938 in the new town of KdF-Stadt (modern-day Wolfsburg), which had been purpose-built for the factory workers. This factory had produced only a handful of cars by the time war started in 1939. None was actually delivered to any holder of the completed saving stamp books, though one Type 1 Cabriolet was presented to Hitler on 20 April 1944 (his 55th birthday). War changed production to military vehicles—the Type 82 Kübelwagen (“Bucket car”) utility vehicle (VW’s most common wartime model), and the amphibious Schwimmwagen—manufactured for German forces. As was common with much of the production in Nazi Germany during the war, slave labor was used in the Volkswagen plant, for example from Arbeitsdorf concentration camp. The company would admit in 1998 that it used 15,000 slaves during the war effort. 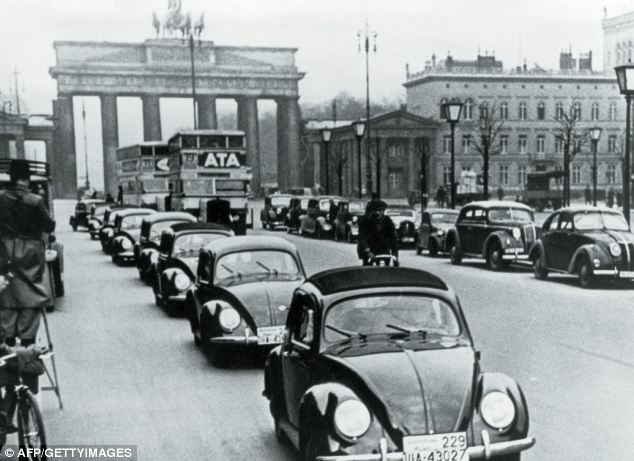 German historians estimate that 80% of Volkswagen’s wartime workforce was slave labor. Many of the slaves were reported to have been supplied from the concentration camps upon request from plant managers. A lawsuit was filed in 1998 by survivors for restitution for the forced labor. The company owes its post-war existence largely to one man, British Army officer Major Ivan Hirst, REME. In April 1945, KdF-Stadt, and its heavily bombed factory were captured by U.S. forces, and subsequently handed over to the British, within whose occupation zone the town and factory fell. The factories were placed under the control of Oldham-born Hirst. At first, the plan was to use the factory for military vehicle maintenance, and possibly dismantle and ship it to Britain. 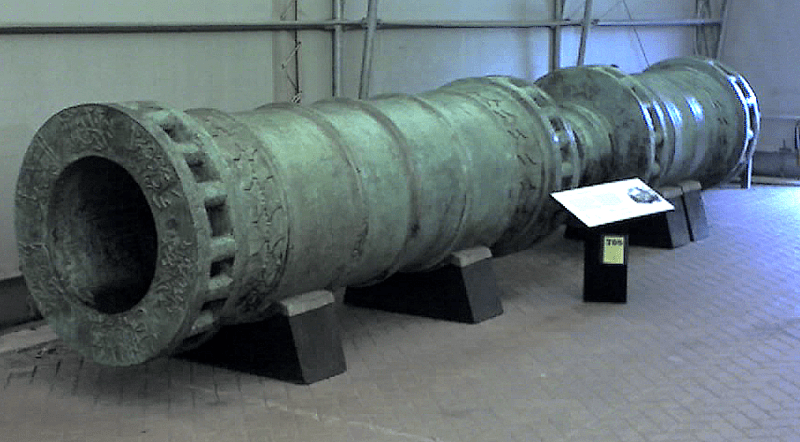 Since it had been used for military production, and had been in Hirst’s words, a “political animal” rather than a commercial enterprise—technically making it liable for destruction under the terms of the Potsdam Agreement—the equipment could be salvaged as war reparations. (Allied dismantling policy changed in late 1946 to mid-1947, though heavy industry continued to be dismantled until 1951.) Hirst painted one of the factory’s cars green and demonstrated it to British Army headquarters. Short of light transport, in September 1945 the British Army was persuaded to place a vital order for 20,000. The first few hundred cars went to personnel from the occupying forces, and to the German Post Office. Some British Service personnel were allowed to take their Beetles back to the United Kingdom when they were demobilized, and one of the very first Beetles brought back in that way (UK registration number JLT 420) is still owned by Peter Colborne-Baber, the son of the original proprietor of the UK’s first official Volkswagen Importer, Colborne Garages of Ripley, Surrey. 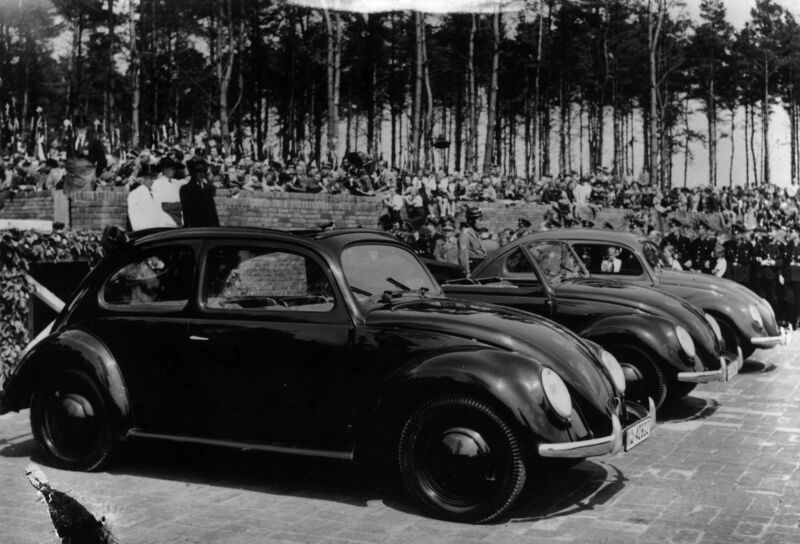 The car and its town changed their Second World War-era names to “Volkswagen” and “Wolfsburg” respectively, and production increased. It was still unclear what was to become of the factory. It was offered to representatives from the U.S., Australian, British, and French motor industries. Famously, all rejected it. After an inspection of the plant, Sir William Rootes, head of the British Rootes Group, told Hirst the project would fail within two years, and that the car “…is quite unattractive to the average motorcar buyer, is too ugly and too noisy … If you think you’re going to build cars in this place, you’re a bloody fool, young man.” The official report said “To build the car commercially would be a completely uneconomic enterprise.” In an ironic twist of fate, Volkswagen manufactured a locally built version of Rootes’s Hillman Avenger in Argentina in the 1980s, long after Rootes had gone bankrupt at the hands of Chrysler in 1978—the Beetle outliving the Avenger by over 30 years. Ford representatives were equally critical. In March 1948, the British offered the Volkswagen company to Ford, free of charge. Henry Ford II, the son of Edsel Ford, traveled to West Germany for discussions. Heinz Nordhoff was also present, and Ernest Breech, chairman of the board for Ford Motor Company. Henry Ford II looked to Ernest Breech for his opinion, and Breech said, “Mr. Ford, I don’t think what we’re being offered here is worth a dime!” Ford passed on the offer, leaving Volkswagen to rebuild itself under Nordhoff’s leadership. As we now know, Volkswagen did rebuild itself. 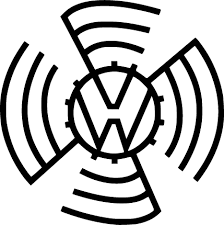 The Volkswagen Group is now a German multinational automotive manufacturing company headquartered in Wolfsburg. It designs, manufactures and distributes passenger and commercial vehicles, motorcycles, engines, and turbomachinery and offers related services including financing, leasing and fleet management. In 2012, it produced the second-largest number of motor vehicles of any company in the world, behind Toyota and ahead of General Motors. It has maintained the largest market share in Europe for over two decades. As of 2013, it ranked ninth in the Fortune Global 500 list of the world’s largest companies. In 2014, it reached production output of 10.14 million vehicles. Volkswagen Group sells passenger cars under the Bentley, Bugatti, Lamborghini, Audi, Porsche, SEAT, Škoda and Volkswagen marques; motorcycles under the Ducati brand; and commercial vehicles under the MAN, Scania, Neoplan and Volkswagen Commercial Vehicles marques. 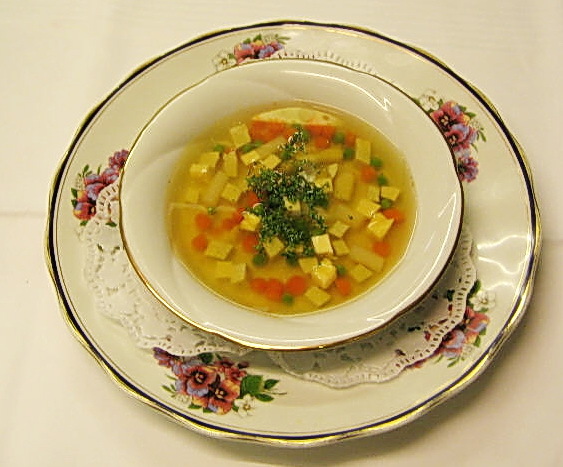 Lower Saxony, where Wolfsburg is located is famous for a number of dishes including Hochzeitssuppe (literally: “wedding soup”). It is a clear soup based on chicken broth, filled with small meatballs (Fleischklößchen), asparagus heads, noodles and savory egg custard garnish (Eierstich). Various versions of hochzeitssuppe are now eaten throughout Germany by the bride and groom and guests, traditionally after the wedding ceremony, and it is usually served as the starter on the menu at the wedding reception. Preparing the soup is a bit of a rigmarole. All of the ingredients should be prepared separately, not in the broth, and kept warm before serving. To serve the soup, arrange the warm ingredients in bowls, and then pour hot broth over them, then garnish. This method guarantees that every guest has a fair mix of all the ingredients. Here’s the basics with proportions for about 8 servings. Begin with a rich, clarified chicken broth, brought to a simmer. You can use a number of vegetables if you wish, but white asparagus and carrots are traditional. Cut them into small pieces and simmer until al dente. Keep warm. Take equal quantities of spicy German sausage meat, such as Thüringer Mett, and ground beef, and mix it thoroughly with a beaten egg and some breadcrumbs. Roll the mix into small meatballs, and poach them gently in water or stock (not the soup stock). Keep warm. You can make the eierstich, egg custard, in several ways. Beat together 1 cup of milk or cream, 2 eggs and 2 egg yolks, plus a dash of freshly ground nutmeg and salt. Don’t be so vigorous that a froth forms. Pour the mix into sealable plastic pouches, close them tightly, and place in boiling water for 10 minutes, or until the custard is firm. Unseal the pouches and cut the custard into small pieces. I have little decorative cutters for this job. Keep warm. If you like you can also cook some flat egg noodles. Serve the soup in wide bowls. Arrange the vegetables, meatballs, custard, and noodles (if used), in individual bowls, pour over the hot broth, garnish with chopped chives or parsley, and serve. On this date in 1810 Sweden was forced by Napoleon to declare war on Britain, but the so-called Anglo-Swedish War was a completely bloodless war because neither “belligerent” wanted it. They had been allies and trading partners and wanted to keep it that way. So the “war” existed on paper only. That’s the kind of war I can get behind 100%. Since the “war” did not happen I cannot present images. 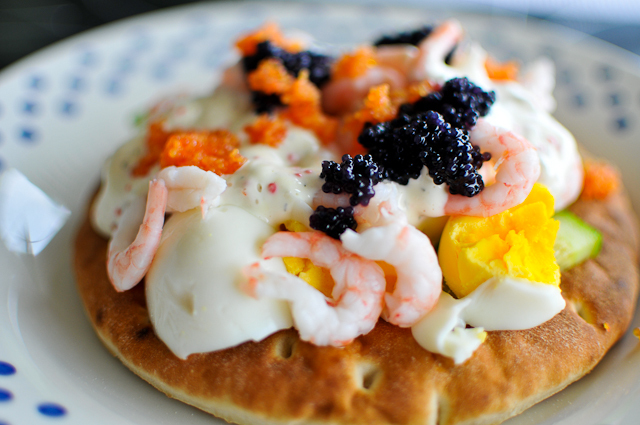 Instead I’ll intersperse some images of Swedish dishes that Brits might like. During the Napoleonic Wars until 1810, Sweden and the United Kingdom were allies in the war against Napoleon. 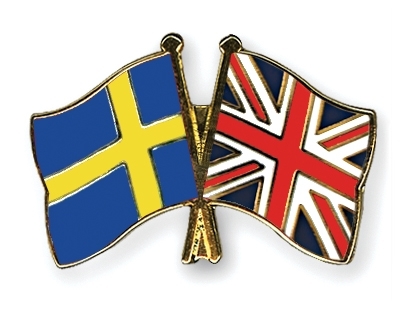 As a result of Sweden’s defeat in the Finnish War and the Pomeranian War, and the following Treaty of Fredrikshamn and Treaty of Paris, Sweden was forced to declare war on the United Kingdom. Britain was still not hindered in stationing ships at the Swedish island of Hanö and trade with the Baltic states. France and its allies threatened to declare war against Sweden if it did not meet the French demands. So, on 17 November the Swedish government declared war against Great Britain. No acts of war occurred during the conflict, but Britain stationed boats in Hanö, which had been invaded. Sweden didn’t try to hinder the occupation as it supported the continued trade. Nevertheless, fearing the possibility of a British invasion, the Swedish government began to conscript more farmers into military service. This led to the only bloodshed during the war on 15 June 1811, when Major-General Hampus Mörner with 140 men acted to disperse a group of farmers in Klågerup in Scania who objected to the conscription policy. In the Klågerup riots, Mörner’s soldiers killed 30 farmers. But this was internal only, and not aggression against Britain. The Swedish Crown Prince Charles August had died on 28 May 1810, and on 21 August 1810, Jean-Baptiste Bernadotte was elected crown prince of Sweden. Though he was only the Crown Prince and technically subservient to the King, he was de facto ruler of Sweden due to the deteriorating health and disinterest of King Charles XIII. Under Bernadotte’s rule, Sweden’s relationship with France deteriorated. When France occupied Swedish Pomerania and the island of Rügen in 1812, Sweden sought peace with Great Britain. 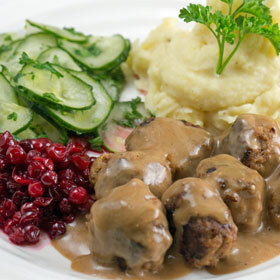 I think Swedish meatballs makes a suitable Anglo-Swedish dish to celebrate the non-war. Swedish meatballs are better known in the U.S. than Britain, largely because meatballs in general are less common in Britain than the U.S. I’ll give a recipe for you but the idea is very basic (as is Swedish cooking in general). 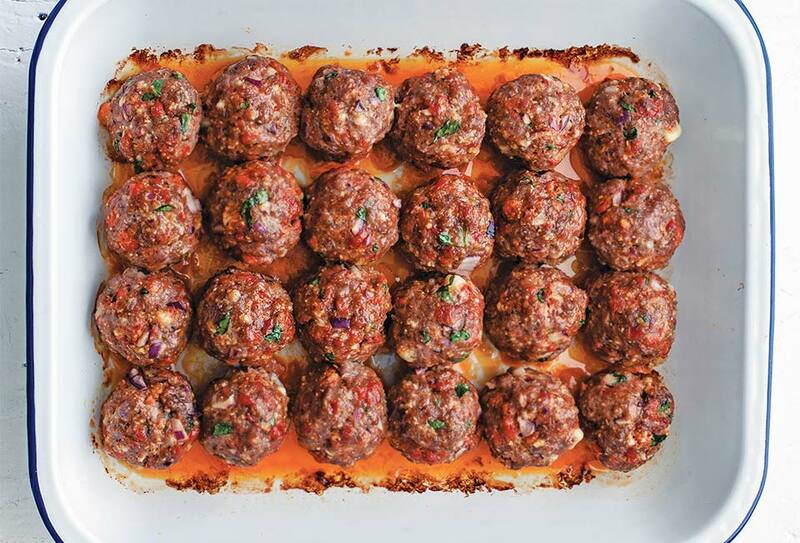 Make meatballs with a mix of ground veal and pork. Fry them and serve them with a creamed beef gravy. They are traditionally served with lingonberries or lingonberry preserve, slices of salted cucumber, and mashed potato. It’s best to serve them smothered in gravy, but have more gravy on hand for guests to help themselves. Soak the breadcrumbs in the milk in a large mixing bowl for about 5 minutes. Add the meat, grated onion, egg, and salt and pepper to taste. I always grate onions for meatballs, hamburgers, etc. because grating brings out the onion taste more. Mix everything with your hands (preferably), or a wooden spoon, until everything is evenly mixed. Take a tablespoon of the mixture and roll it with your hands until it is round. Repeat until you have about 30 meatballs. They should be quite small. Heat a tablespoon of butter in a heavy skillet over medium-high heat. Do not let it brown. Sauté the meatballs in batches, browning them all over by shaking the pan repeatedly, then turning the heat down to let them cook all the way through. Keep them warm. Add the stock and corn flour mixture to the skillet. Turn up the heat and simmer the gravy until it has thickened and smooth. I usually use a whisk for this step. Add the cream plus salt and pepper to taste, and warm through. Today is the birthday (1724) of Immanuel Kant, a German philosopher who is widely considered to be a central figure in the development of certain branches of modern philosophy. He argued that human concepts and categories structure our view of the world and its laws, and that, therefore, reason is the source of morality. Kant’s major work, the Critique of Pure Reason (Kritik der reinen Vernunft, 1781), aimed to bring reason together with experience and to move beyond what he believed to be failures of traditional philosophy and metaphysics. He hoped to end an age of speculation in which objects outside of experience were used to support what he saw as futile theories, while also resisting skepticism. Kant proposed a “Copernican Revolution-in-reverse.” In simple terms, Kant argued that our experiences are structured by necessary features of our minds. The mind shapes and structures experience so that, on an abstract level, all human experience shares certain essential structural features. Among other things, Kant believed that the concepts of space and time are integral to all human experience, as are our concepts of cause and effect. We never have direct experience of things, the noumenal world, and what we do experience is the phenomenal world as conveyed by our senses. 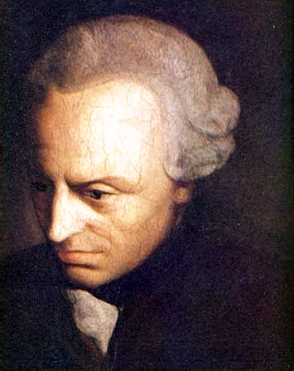 Kant published other works on ethics, religion, law, aesthetics, astronomy, and history. These include the Critique of Practical Reason (Kritik der praktischen Vernunft, 1788), The Metaphysics of Morals (Die Metaphysik der Sitten, 1797), which dealt with ethics, and the Critique of Judgment (Kritik der Urteilskraft, 1790), which looks at aesthetics and teleology. He aimed to resolve disputes between empiricist and rationalist approaches. The former asserted that all knowledge comes through experience; the latter maintained that reason and innate ideas are prior. [There is a famous joke involving a rationalist and empiricist passing a flock of sheep. The rationalist says, “those sheep are white,” to which the empiricist replies, “on this side.”] Kant argued that experience is purely subjective without first being processed by pure reason; using reason without applying it to experience only leads to theoretical illusions. The free and proper exercise of reason by the individual was a major theme both of the Age of Enlightenment, and of Kant’s approaches to the various problems of philosophy. I’m not going to launch into a treatise on the technical aspects of Kant’s work. You can look them up for yourselves if you are interested. Instead I am going to give a few biographical details followed by some quotes, and then a little discourse on his views on aesthetics as a prelude to a recipe. Immanuel Kant was born in 1724 in Königsberg then in Prussia (since 1946 the city of Kaliningrad in the Russian Federation). He was the fourth of nine children (four of them reached adulthood). He was baptized Emanuel but changed his name to Immanuel after learning Hebrew. In his entire life, he never traveled more than ten miles from Königsberg. His father, Johann Georg Kant (1682–1746), was a German harness maker from Memel, at the time Prussia’s most northeastern city (now Klaip?da in Lithuania). His mother, Anna Regina Reuter (1697–1737), was born in Nuremberg. Kant’s paternal grandfather, Hans Kant (in German), had emigrated from Scotland to East Prussia, and his father still spelled their family name “Cant.” In his youth, Kant was a solid, but undistinguished, student. He was brought up in a Pietist household that stressed intense religious devotion, personal humility, and complete faith in the authority of the Bible. Kant received a strict education that preferred Latin and religious instruction over mathematics and science. Despite his upbringing in a religious household and still maintaining a belief in God, he was skeptical of religion in later life. Thus he is often labeled as agnostic. There are a great many stories about Kant’s personal mannerisms which are largely unfounded. It is often held, for example, that Kant lived such a strict and predictable life, that neighbors would set their clocks by his daily walks. He never married, but by all accounts had a rewarding social life. He was a popular teacher and a successful author even before starting on his major philosophical works. All our knowledge begins with the senses, proceeds then to understanding, and ends with reason. There is nothing higher than reason. Kant trivialized gustatory experience as incapable of being truly aesthetic because it is driven by appetite and, therefore, cannot be separated from desire or utility (the need to satisfy hunger). Painting, by contrast, can be viewed in a “disinterested” way without reference to utility. I, and many others, have argued strongly against this narrow view of food as utilitarian – perhaps a product of his Puritanical upbringing? You only have to watch the judges’ table on Top Chef to see the gaping flaw in his reasoning. Here is a recipe for Königsberger Klopse named for Kant’s home town, and one of the highlights of East Prussian cuisine. In the German Democratic Republic (GDR), the dish was officially renamed Kochklopse (“boiled meatballs”) to avoid any reference to its namesake city, which in the aftermath of World War II had been annexed by the Soviet Union. The city’s German inhabitants had been expelled, and the city had been repopulated with Russians and renamed after a close ally of Joseph Stalin in the Soviet leadership. The GDR forbade using the historic names of the annexed territories or cities. Königsberger Klopse were jokingly referred to as Revanchistenklopse (revanchist/revisionist meatballs). The meatballs are made from very finely ground veal along with onions, eggs, and white pepper. The traditional recipe uses anchovy. If herring is substituted, the dish is called Rostocker Klopse. If both anchovy and herring are omitted, it is called Soßklopse. The meatballs are carefully simmered in veal stock, and the resulting broth is mixed with a roux, cream, and egg yolk to which capers are added. A simpler version of the recipe thickens the sauce with flour or starch only, omitting the egg yolk. A refined version uses only egg yolk as a thickener. Capers are an essential ingredient in all these versions. The dish is traditionally served with boiled potatoes. Tear the bread roll into small pieces and soak them in the milk. Squeeze out any excess milk and mix the bread together with the ground veal and beaten egg. Add the chopped parsley and lemon zest. Melt the butter in a large pan over medium heat until transparent. Add them to the ground veal mixture together with the finely chopped anchovies. 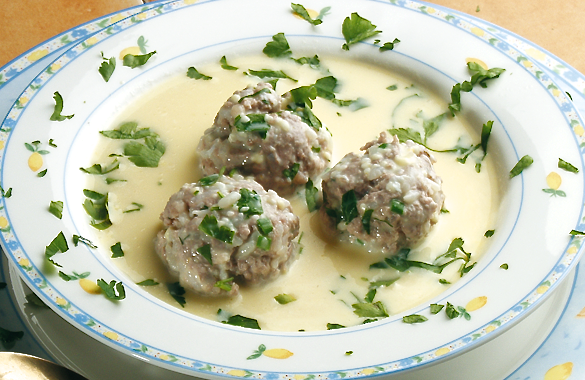 Season with salt and pepper to taste and form the veal mix into approximately 16 meatballs. Bring the stock to a gentle simmer, add the meatballs and cook them, covered for about 10 minutes. Do not overcook. Remove the meatballs and keep them warm. Strain the stock and reserve it for the sauce. For the sauce melt the butter in a heavy skillet. Add the flour and stir continuously to form a golden roux. Add the stock slowly, whisking constantly to form a smooth sauce. Add the capers along with their liquid, the lemon juice, cream and the wine. Season to taste with salt, sugar, and white pepper. In a small bowl temper the egg yolks by adding a few tablespoons of hot sauce to them and whisking vigorously. Then add the tempered egg yolks to the sauce, whisking constantly, and making sure it does not boil. Add the meatballs to the sauce and let them to heat through gently. 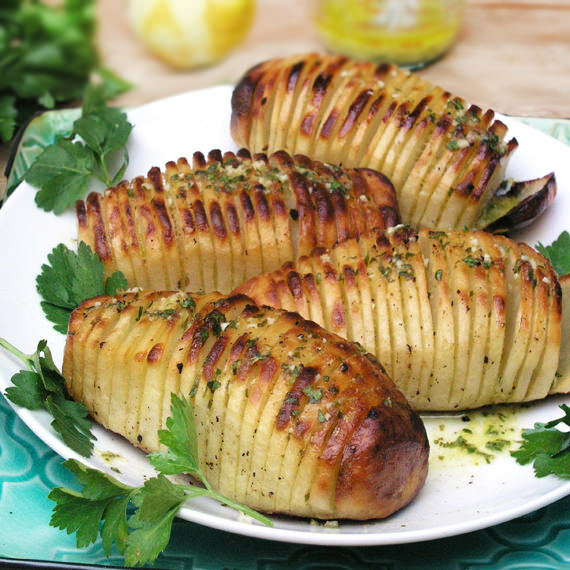 Serve garnished with the rest of the parsley and lemon wedges, and with boiled potatoes, buttered. 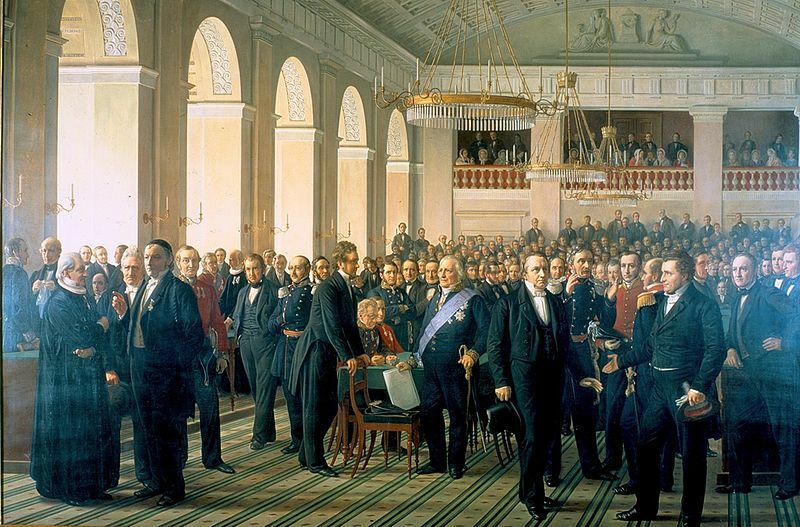 Today is Constitution Day in Denmark, commemorating the signing of the constitution on 5 June 1849, which turned the nation from an absolute monarchy to a constitutional monarchy. 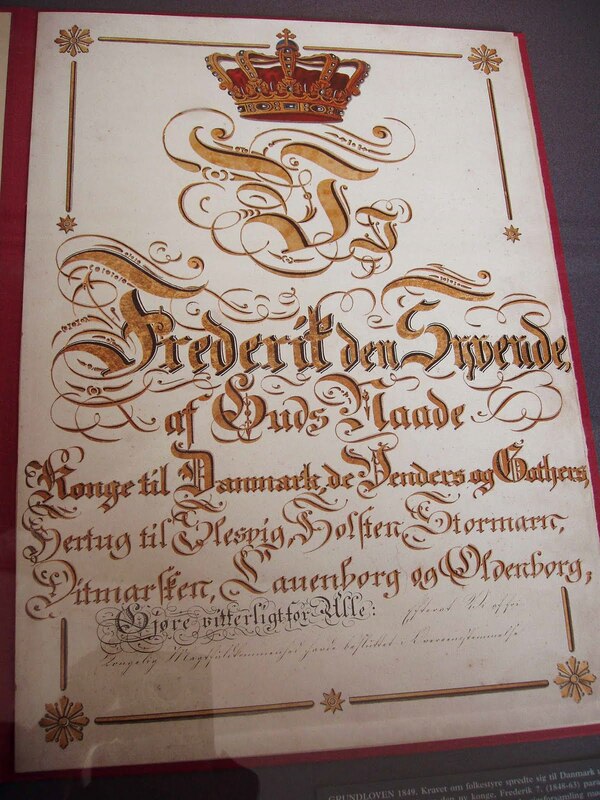 It had been an absolute monarchy since 1660 (rather oddly by a constitution granting the king absolute power), but the pan-European revolutions of 1848, plus the movement of Norway to a constitutional monarchy, prompted a rise in democratic sentiments in Denmark. Unlike in the rest of Europe, in Copenhagen there were no violent clashes at the barricades, or the like. There was apparently just a quiet realization that it was time, and the structure of power shifted relatively quietly. 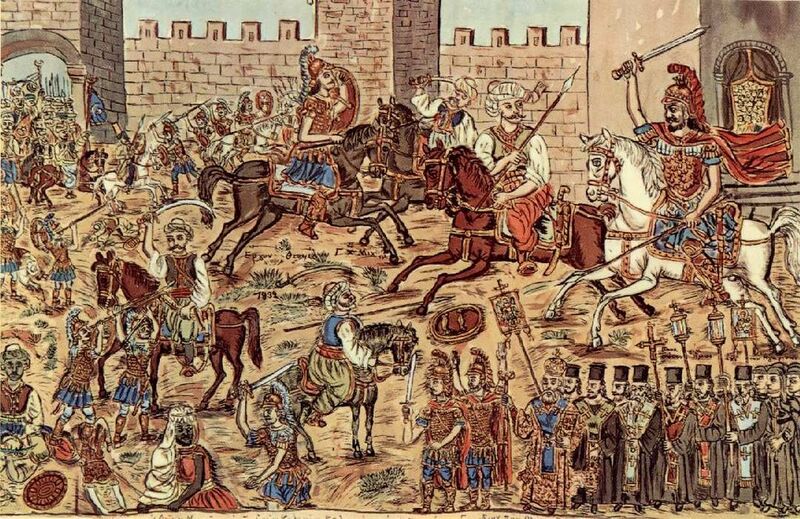 Everything was achieved through democratic process, with the king’s assent. The constitution of 1849 followed the principles of the French philosopher Montesquieu, ensuring certain key notions such as the separation of powers (with checks and balances), and the assurance of basic human rights. From that point on the role of king was purely symbolic. Denmark’s constitution is curious in that it has never been amended. When the need arises to change it, they write a new constitution. Thus, since 1849 Denmark has had five constitutions, the latest signed on 5 June, 1953. The constitution of 1915 granted women the right to vote, and that of 1953 changed the parliamentary structure from two houses to one. The constitution is not easy to change. Under current rules a change in the constitution must be voted on twice by parliament, both before and after a general election. It must then be submitted to a popular vote where it must receive a majority of those voting, and 40% of the total electorate must vote yes. Thus a low turnout spells failure. All very civilized for a nation whose berserker Viking warriors struck fear in the hearts of peoples across Europe. Ivar the Boneless and Sweyn Forkbeard spring to mind. Danish cuisine is noted for several popular dishes. Universally known is the breakfast Danish pastry, which is actually of Viennese origin, and so is called wienerbrød in Denmark. 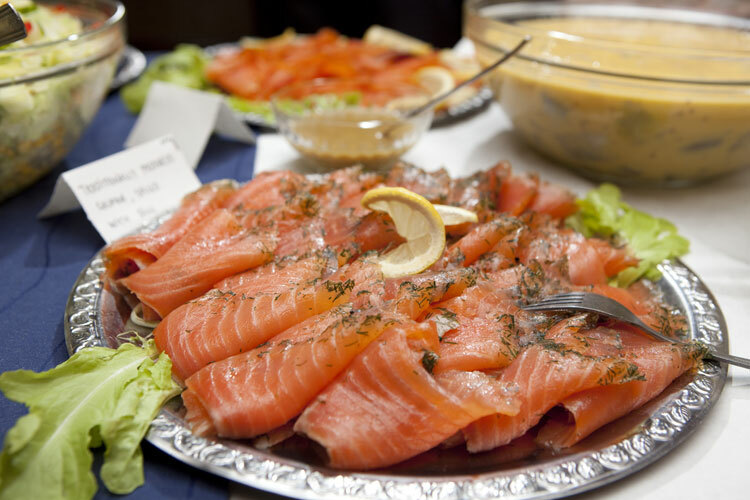 Lunch is usually a cold meal consisting of smørrebrød, an open faced sandwich on dense, dark rye bread topped with slices of cold meat, sausage, liverwurst, or hard-boiled egg, with fancier toppings, such as prawns and smoked salmon for fancier occasions. Dinner is a hot meal focused on meat, sausages, meatballs, or fish. 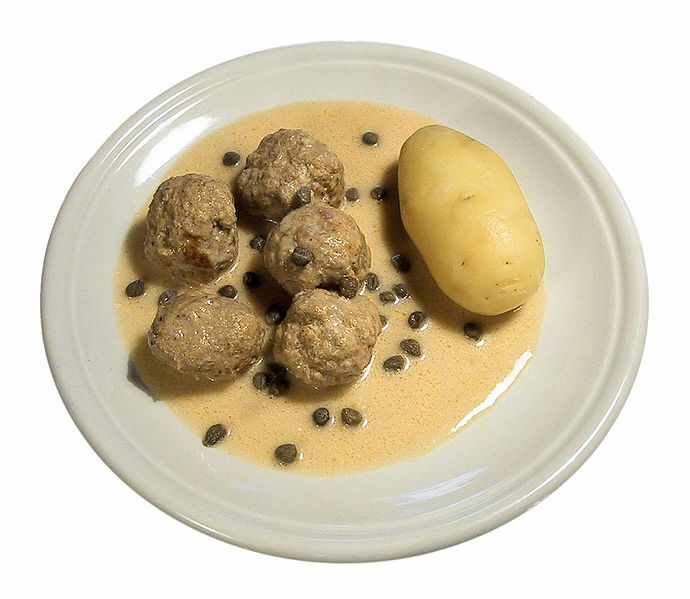 The national dish is frikadeller – meatballs in brown cream sauce. There are many variations of frikadeller, but traditionally they are made of ground veal, pork or beef (or a blend of two of these meats); chopped onions; eggs; milk (or water); breadcrumbs (or oatmeal or flour); salt; and pepper; then formed into balls and flattened somewhat. They are then pan-fried in pork or beef drippings, or bacon fat. Modern cooks often use olive oil or vegetable oil. Another popular variation is fiskefrikadeller replacing the meat with fish as the main ingredient and often served with remoulade, which you can make by mixing capers, chopped pickles, lemon juice, dill, chervil, parsley or other fresh herbs, with mayonnaise. 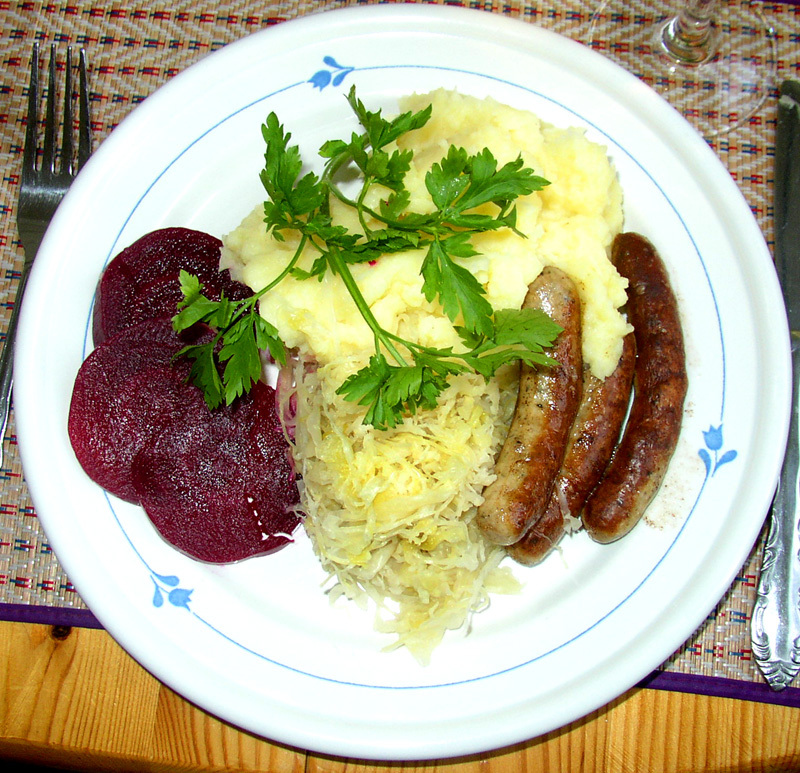 As a main dish frikadeller are most often served with boiled white potatoes and gravy (brun sovs) accompanied by pickled beetroot or cooked red cabbage. Alternatively they can be served with creamed white cabbage. Mix together thoroughly the meats, onion, breadcrumbs, pepper, salt, flour, and eggs. Add enough milk or water so you can form meat mixture into balls, a little bigger than a golf ball. Some cooks then flatten them into patties, or you can keep them round. Brown the meatballs in drippings or bacon fat over high heat. Reduce the heat to medium-low. Cover and simmer slowly until the meat is cooked through, but not dry. 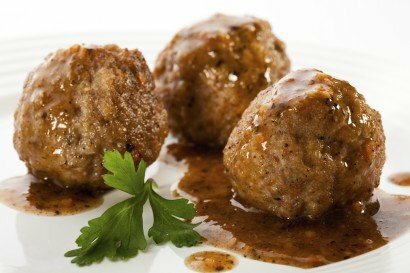 Brown 3 tablespoons (45 g) of flour in ¾ tablespoon (11 ml) of dripping from the meatballs over medium heat. Reduce the heat to medium-low and slowly add heavy cream or whole milk, whisking constantly until the mixture reaches gravy consistency.